If you read the news, it may seem like first-time homebuyers have it tough – breaking into the real estate market is hard to do, after all. However, the challenges facing first-timers can feel like a breeze compared to the hurdles faced by soon-to-be repeat buyers, or those who are trying to both sell their existing homes and buy new ones at the same time. Planning ahead is the most important part of this process. There are two paths to go in: Sell first, or buy first. Both have positives and negatives for homeowners. When considering selling first, owners will literally be without a place to live. This requires finding a place to rent – or simply stay – until they close on their new home. They’ll also have to get all their belongings into storage. However, they won’t have to pay two mortgages at once, plus they’ll have a lower debt-to-income ratio. They may even have an easier time buying, with a home already sold. Buying first means paying two home loans at the same time. It is also risky – what if the old home doesn’t sell for the asking price? That capital is likely needed to finance the new purchase. However, buying first makes for a much easier move, and can alleviate a lot of the stress. Either way, owners have to create a schedule. They need to decide which option is best for them, yet plan for the worst-case scenario. Agents can help them handle the process and create contingency plans. Buying and selling at the same time is tricky, so a schedule will often have to be tweaked. Owners have to know this and be ready for all outcomes. Most importantly, people in this position need stable finances before buying and selling. This goes for both options as well. For example, selling first is a simplified process. Homeowners can tackle selling at one time, then become buyers for the second half. However, they have the added expenses of renting in the middle, as well as storage. These extra costs have to be planned for. The same goes for buying first. Two mortgages need to be paid, plus the old home could sell for less money than hoped. Strong, stable finances help remove the risk. No matter what happens, owners can lean on their real estate agents to facilitate the process and manage stress. Anyone would get nervous at this time, and they may be tempted to let fear and anxiety rush their decisions. 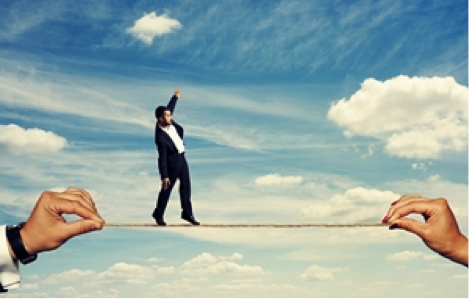 By working as a team, agents and owners can tackle this balancing act together. This entry was posted in Buying A Home, News, Real Estate, Selling A Home and tagged Sell a home before buying a home, sell or buy a home first by susanaknabe. Bookmark the permalink.